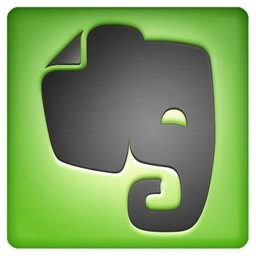 The subject of this week’s mobile App is Evernote. There was quite a buzz on the web-o-sphere when the application was initially launched. Let’s start with what is the Evernote. It is a web application where anyone can create an account and maintain his personal notes, pictures and/or voice memos. It does not sound very original until now. If you do not fancy using the web app, you can download the Mac or windows client. It will simply keep your local copy synchronized with the Evernote server and allow you to create new ones. The iPhone application also connects and synchronizes with the evernote server. This means that you can have all your notes on the go or create one while you are on the road and automagically the note will be waiting for you on your computer at home. Evernote’s search tools are snappy and they highlight what, for me, is one of Evernote’s most intriguing features: its ability to recognize text found in images you’ve uploaded. Take a picture of a document or a prescription label, or upload a screenshot or even a photo you’ve taken of someone with text on their t-shirt, and within seconds of being uploaded to Evernote’s servers, a search will locate images based on the text they contain. It is a must have application on your iPhone (and also on your desktop computer). You can sign up for free and that will give you an upload limit of 60MB per month, you will be able to synchronize images, audio, text and PDF files, a single file can have a maximum size of 25MB and you won’t have a priority on image recognition. Alternatively, you can splash out EUR 5.00per month or EUR 40.00 per annum for a premium account and have these restrictions lifted and an upload limit of 500MB per month where the maximum size per file will get a bump up to 50MB.